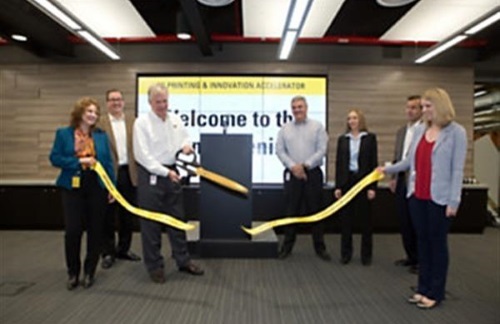 Global construction firm Caterpillar Inc. has opened a suite of three new innovation spaces at its Global Research & Development Center in Mossville, Illinois. The suite will help to “fuel the future, driving even greater collaboration, innovation and acceleration” within the company. As the world’s leading manufacturer of construction equipment, Caterpillar provides an incredibly diverse range of products through its global network of suppliers. Given the huge number of items across its catalogue, it is no surprise to see the company highlighting a few areas of production which could potentially benefit from additive manufacturing. 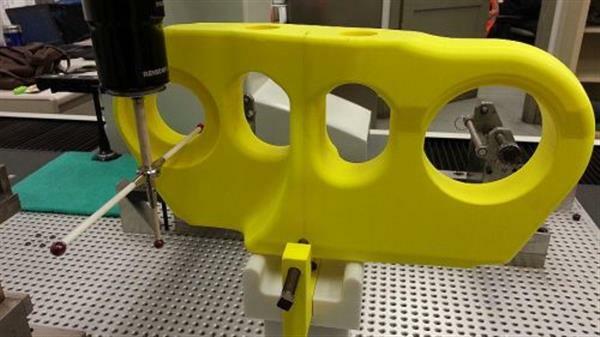 Although the company is unlikely to build 3D printed bulldozers anytime soon, it has acknowledged the huge cost-saving potential of additively manufactured castings and small parts, and has announced a willingness to explore other potential uses for the burgeoning technology. To improve its additive manufacturing capabilities, the Illinois-based corporation has opened a suite of three additive manufacturing-focused spaces that will each contribute to the fast and effective incorporation of additive manufacturing technology within the company framework. The grand opening of the three spaces was celebrated on March 31 at the company’s Global Research & Development Center in Mossville, Illinois, where two of the three spaces have been established. The two new facilities built at Caterpillar’s Mossville, Illinois premises are the new Innovation Accelerator and new Additive Manufacturing Factory. At the Innovation Accelerator, a two-story space, Caterpillar staff are able to “let their imaginations run wild, dreaming up and modeling that next great innovation in a setting that inspires creativity.” The upper floor of the building will host meetings and brain-storming sessions, with the lower floor functioning as a Maker Space where employees can experiment with materials and rough-model new concepts. Caterpillar’s all-new Additive Manufacturing Factory, the other new space at the Mossville location, sits right across the hall from the Innovation Accelerator. The AM Factory will contain both commercial and high-end prototype 3D printers, suitable for a range of 3D printing tasks. Staff can use these new machines to perform research and explore new technological possibilities. The third of the three new spaces is the Cat MicroFoundry, established within the existing larger Caterpillar foundry in nearby Mapleton, Illinois. The new MicroFoundry will be used for the rapid creation of low-volume castings using sand 3D printing technology. Castings—machine parts that created by pouring liquid material into a mold—are used in a number of Caterpillar products, and the new MicroFoundry could drastically reduce costs involved in the production of certain prototypes and slow-moving parts.